Around 1990-1993…ish…My grandmother gave me a Christmas present. It was “Robostrux Terox”. My brother got “Radox”. My father put them together…we watched them walk and light up. He declared “I never want to see another one of these.” He then put them on the top shelf for display…. Eventually we moved to a new house, and I took full on possession of Terox. Now I could play with him everyday. But as I was becoming a teenager, I didn’t necessarily want too. 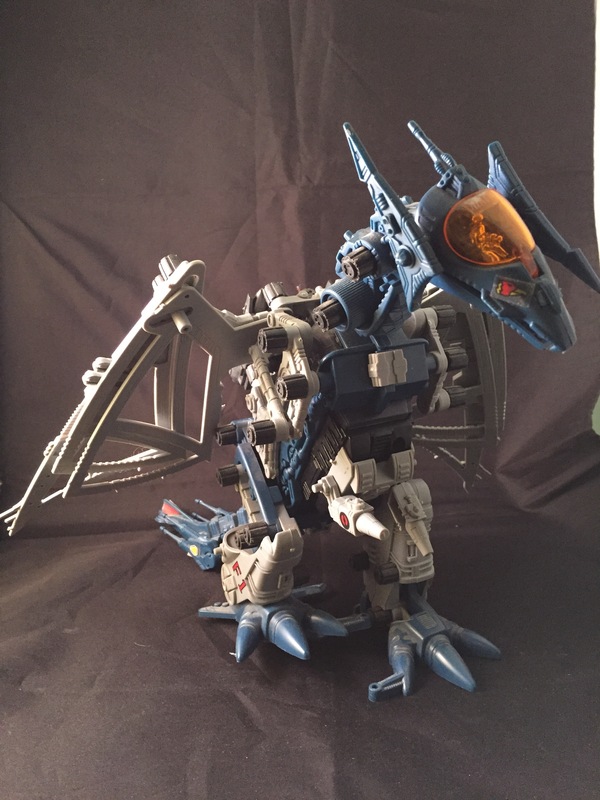 I still thought he was cool…I never saw a toy like him again…until around 2000 or 2001 as a married adult. I was flipping channels…and BEHOLD…my Terox was on TV! A different color, but it was definitely him. Six or more weeks later…. (There was a trade embargo or something that happened…Gojulas was supposed to be shipped from Japan. I thought he never would arrive. And $100 wasn’t easy for a just married SpartanNerd to just drop! )…Anyways he arrived, and I relived the headache my father must have done when he assembled Terox all those years prior. As soon as I had him built, I turned him on, watched him walk around and light up, and then put him on display. This time with a collection of friends! Terox was blue and gray, with some red details. Gojulas is silver and dark gray. Eventually I would see my brothers at Wal-Mart in Florence, SC. Robostrux Radox was actually Pterox Zoid. This was thankfully only $20. Eventually, I started putting these on display in my classroom. They have lived in that environment, on and off, for about ten years. Sadly, both models began to crumble. So I have dismantled them for parts. Still, I thought I would share these final pictures before dismantling them. I don’t collect Zoids anymore. I actually sold most of them before moving several years back at a yard sale. I kept these for their sentimental value. The batteries corroded on the inside of Pterox. And Gojulas would constantly fall apart. Neither model has walked properly in years. 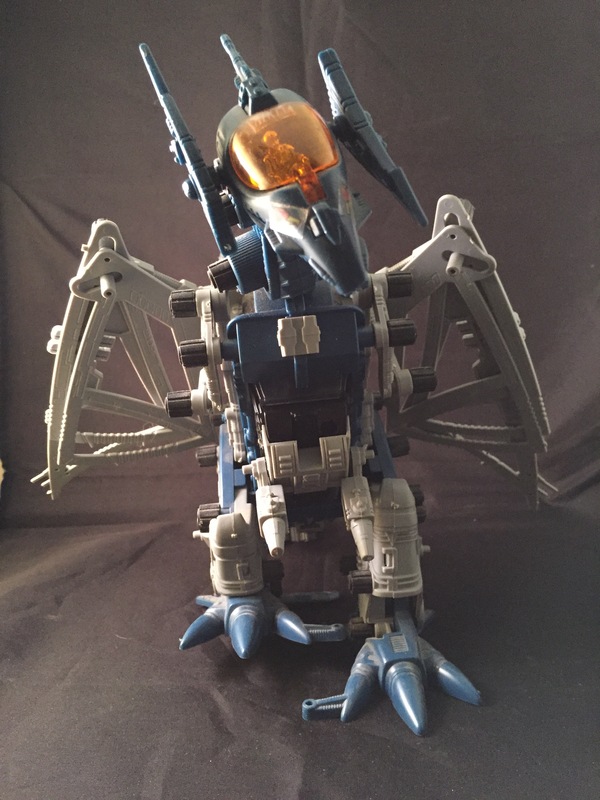 Pterox is especially bad because his wing action is tied to his leg movement. They were fun, and the kids really enjoyed them, having never seen toys like them before. “Whoa! Is that a Transformer! ?” “Wow! Can I play with that?” I would just say, “Maybe later this year.” Sadly knowing that I wouldn’t do so without heartache. 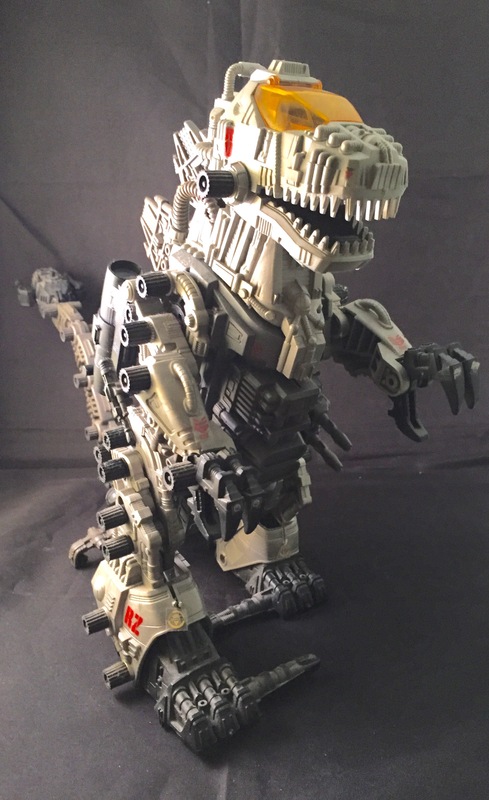 A Robostrux Terox MIB is on sale on Ebay for $500! Doesn’t that make you think! 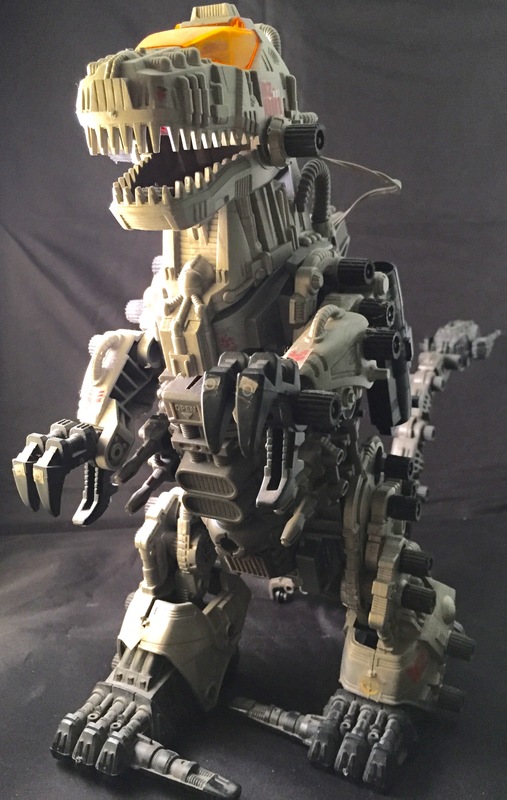 This entry was posted in Gojulas, Pterox, Radox, robostrux, SpartanNerd, Terox, zoids and tagged Gojulas, pterox, Radox, robostrux, SpartanNerd, terox, zoids. Bookmark the permalink.